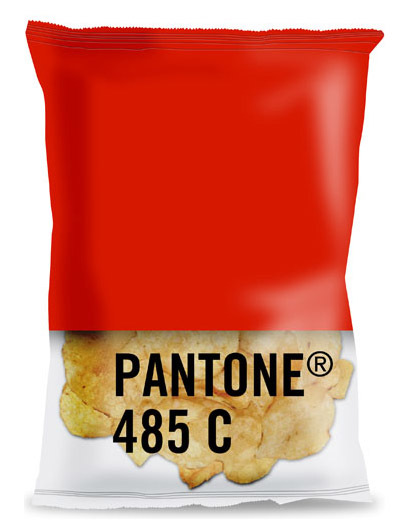 Pantone Adds 175 New Colors! From time to time I post about Pantone: the company that deals exclusively in color. Their swatches and precise matching systems exist to create standardization among the color industry. Sound complicated? Think of it this way: if you’re a corporate entity with a blue logo, your logo isn’t just any shade of blue. It’s a very precise, specific blue, and if you match it to a Pantone chip then you can order all of your signage, t-shirts, paper products, and even fabric for the chairs in your lobby to be “Blue XYZ,” thereby creating a specific and stable identity. I’ll be the first to admit that I have little to no use for Pantone swatches in my design practice. As of right now, I have no clients who demand super precise dye matches, and I have no trouble finding complementary colors among the thousands of options out there. I conceptualize colors, hunt the right ones down, and through a combination of visual instinct and trial and error I find the right ones: mission accomplished! But despite my tried and true method, I love to look at Pantone products and I dream about purchasing their very expensive swatch sets and color books for myself one day. They just feel so…fancy. And professional. And rainbow-ey. I love how a guy in the video refers to color as an “instantly accessible, over-the-counter antidepressant.” I couldn’t agree more! Their 175 new colors are particularly suited for fashion and home, and include additions such as Mykonos Blue, Cherries Jubilee, Storm Front, and Marmalade. (Yum!) You can read more about the “new” colors here on Pantone’s website. ← Asparagus Cake? Don’t Mind If I Do….